Home Exclusive Interim Budget 2019: Who are the real winners? Interim Budget 2019: Who are the real winners? 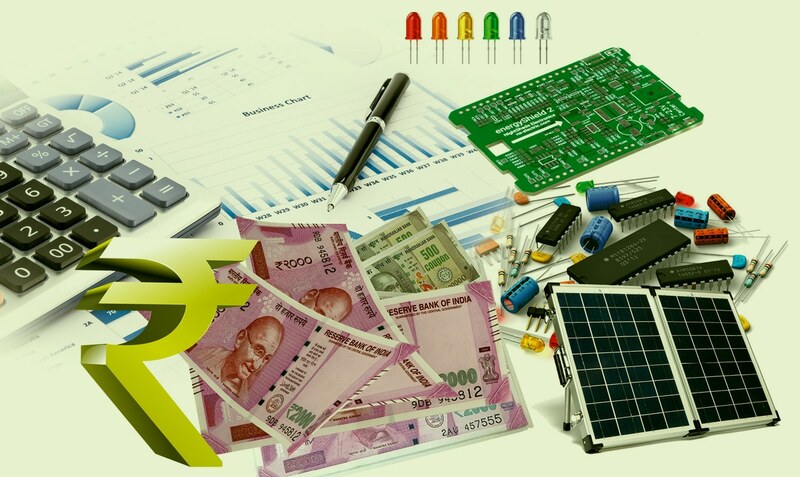 With general elections around the corner, the Indian electronics industry was right in expecting a few positive announcements in the Interim Budget 2019, and it has not been disappointed in that respect. The startup and solar sector, however, are not too impressed. As Finance Minister Piyush Goyal was presenting the Interim Budget 2019 on the first day of February, his announcements were greeted with a continuous thumping of desks in the Lok Sabha. The aim of this budget, he said, was to allocate resources to uplift the lower and lower middle economic strata, and also to boost business in India. This year’s Interim Budget was a balanced call, one that the interim finance minister had to take to keep up with the political compulsions as well as the welfare of the country’s economy, ahead of the general elections. The Budget this year is viewed by many as ‘populist talk but a prudent walk’. The finance minister began his presentation of this year’s Budget by saying that India is now rid of policy paralysis, and followed up by giving some figures to showcase the government’s achievements. India attracted US$ 239 billion in foreign direct investment (FDI). India’s fiscal deficit was brought down to 3.4 per cent. As many as 1.43 billion LED bulbs were distributed across the country, which will save approximately ₹ 500 billion in power consumption. More than 25 million houses were given free electricity connections all over India. India has become the second largest hub for startups. A National Artificial Intelligence portal is to be developed soon. MSMEs have tremendous opportunities to sell their products through the GeM platform, which will now be extended to all central public sector enterprises. India’s installed solar capacity has increased 10 times in the last five years and thousands of new jobs have been created in this sector. The cost of data and voice calls in India is now possibly the lowest in the world; the number of mobile and mobile parts manufacturing companies has increased from two to 268. To promote the Make in India initiative, custom duty has been removed from 36 capital goods. The Budget had some positive announcements to help accelerate India’s transition into a robust digital economy. Taking forward the Digital India programme, Goyal presented the concept of ‘digital villages’. He said that the government has set a target of building 100,000 digital villages in the next five years. The task of creating these villages will be taken up by the Common Service Centres (CSCs), which will first set up the digital infrastructure in the villages. ₹ 100 billion in telecom infrastructure will make universal broadband communication a reality, and lead to the pan-India deployment of new IoT based solutions. A 100,000 digital villages are to be developed in the next five years. All assessment of IT returns is to be done electronically by the next two years. The Vande Bharat Express train will provide speed, service and safety to citizens and will give a boost to the Make in India initiative. India is on its way to becoming a global manufacturing hub in the defence and automobile sector. Electric vehicles will be a focus area, with renewable energy becoming all important. India’s defence budget will cross ₹ 30 trillion this year. If necessary, additional funds will also be provided. The finance minister also announced that the government will soon launch a national artificial intelligence portal. Appreciating the move, tech companies said the focus on leveraging digital technologies along with the ‘digital villages’ initiative will boost rural manufacturing and create jobs. According to Anil Chaudhry, zone president and managing director of Schneider Electric India, the government’s decision to set up the national portal on AI will allow sectors across the economy to benefit from this new age technology, boost manufacturing, trim production losses and usher in efficiency. Dr Subho Ray, president, Internet and Mobile Association of India (IAMAI), says the portal will propel India on the path to leveraging advanced and disruptive technologies for growth and economic prosperity. “It’s great to see the government sending out a clear signal by launching the national artificial intelligence portal. AI is here to stay and will play a significant role in the future of the country. What’s more heartening is the fact that the government is willing to invest in AI in major sectors – education, healthcare, transportation, infra and agriculture,” says Tarun Bhalla, CEO and founder, Avishkaar. Takayuki Inaba, MD of NEC Technologies India Pvt Ltd, agrees. He feels the vision to develop a national programme for AI will set the implementation process in motion, and help Indians and the government immensely. Udaya Bhaskar Rao Abburu, CEO and managing director of iRam Technologies, states that the announcement to build a Digital India that reaches every citizen by creating innumerable startups and jobs will give a major impetus to the smart city initiative. “This is a welcome step for IoT enabled companies like iRam,” he says. During the Budget reading session, the FM said that India’s installed solar generation capacity has grown by over ten times in the last five years and so has the use of green technologies, including e-vehicles. “Our commitment to promote renewable energy is reflected in the setting up of the International Solar Alliance. This sector is now creating thousands of new age jobs,” he said. The minister went on to add that India will lead the world in the transport revolution through electric vehicles and energy storage devices, bringing down its dependence on imports and ensuring energy security for our country. He added that when people start using electric vehicles, it will save the country foreign currency and help it become self-reliant. The Budget has also offered many benefits to the MSME sector in India, as well as to individual citizens. The income tax exemption limit for individual taxpayers has been raised from ₹ 250,000 to ₹ 500,000. The exemption under capital gains tax has also been raised to ₹ 20 million. The NDA had earlier taken several steps to strengthen the MSME sector in India, including launching a scheme under which MSMEs were being offered business loans of up to ₹ 10 million. ₹ 500,000 and the interest rate subvention of 2 per cent will help startups and MSMEs in the ESDM sector, as it will relieve the pressure on working capital. ELCINA members share this view. Rajoo Goel, secretary general of ELCINA, appreciates the support offered to MSMEs and small traders with interest subsidies on incremental loans of up to ₹ 10 million. He also hails the move to source at least 25 per cent of the government’s requirements from MSMEs. “There are also procedural simplifications under GST by reducing compliance requirements to quarterly filing of returns,” says an optimistic Goel. While the announcement of a national programme on artificial intelligence is a welcome move, the Budget did not have any new incentives to strengthen the startup ecosystem. It was disappointing that the sector did not receive any relief, such as a ten-year tax holiday for angel investors. While there are no specific measures to boost employment generation, the Budget allocation for the national rural employment guarantee scheme has gone up to ₹ 600 billion. Like in the previous two years, this Budget too appears to have failed to support local manufacturers in the renewable energy domain. In Goyal’s Budget speech, there were only fleeting references to the renewable energy sector, with the minister mostly talking about the major sectoral initiatives undertaken by the NDA government through the year. The year 2018 was rough for India’s renewable energy sector, especially solar. The need for clarity on GST rates delayed many projects. The imposition of safeguard duty in the middle of the year led to many legal battles and increased the cost of solar projects. Cancellation of many auctions by state agencies also dented the confidence of project developers in the government. Amid such uncertainty, the industry was waiting for the NDA government’s last Budget before the Lok Sabha polls, anticipating some big bang announcements for the sector. But that did not happen. ELCINA members recommend that in the final Union Budget, specific policy and tax measures that protect domestic electronics manufacturers and promote investments in high value added manufacturing of components, PCBs, LEDs, assembly-test-mark-pack (ATMP) of semiconductors, etc, should be announced. They also hope that EMS and phased manufacturing programmes for many more electronic products will be added. While sharing his thoughts on what more can be expected, Dhananjay Sharma, COO, SenRa Tech, says that some incentives to OEMs should be granted to strengthen the Make in India and Digital India initiatives. Sharma is hopeful that it will happen over the course of time. While some are hopeful that the Budget will usher in good times for the electronics industry, many view it as a ‘please all’ Budget and just a stop-gap measure. Vijay Kumar Gupta, CEO of LEDchip Indus Pvt Ltd, is of the opinion that the Budget has tried to leave some extra money in the hands of every citizen, which will eventually lead to more money coming back into the economy and thereby stimulating demand across many sectors. Keeping all the views in mind, we believe the government did well to balance the populist tone of the Budget by signalling its commitment to stick to fiscal discipline. Overall, it was a Budget that tried to address various stakeholder groups in the run up to the elections, without unveiling any big idea.